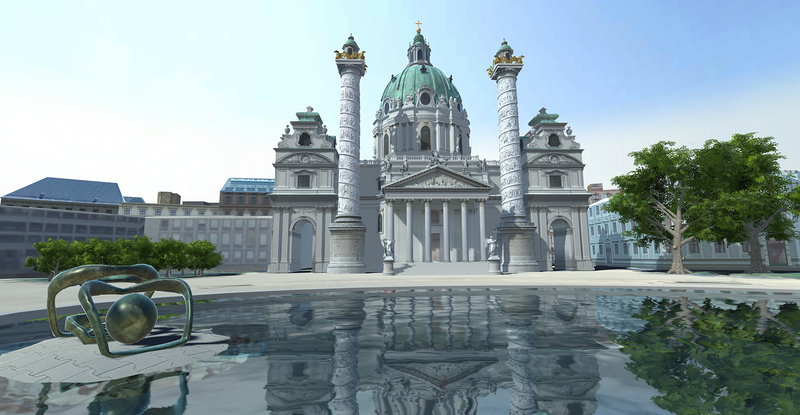 The Church of St.Charles in Vienna is one of the most important baroque buildings in Austria and was used for a case study for 3d documentation and gamification through VR Headsets and Touch applications. 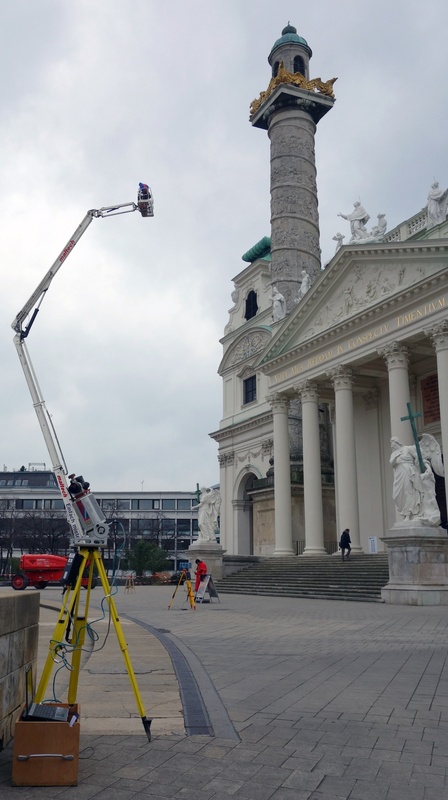 Early 2016 Arctron 3D and 7reasons teamed up to document the front part of the church including its 67 meter high coloumns, using laser scans and photogrammetry. 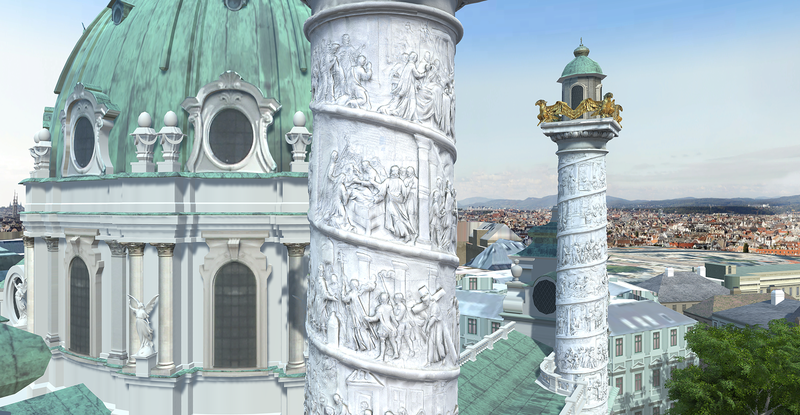 After a sucsessfull 3d reconstruction and fusion of the data, the highly accurate 3d model was implemented into a 3d realtime environment including the city scape around this monument. 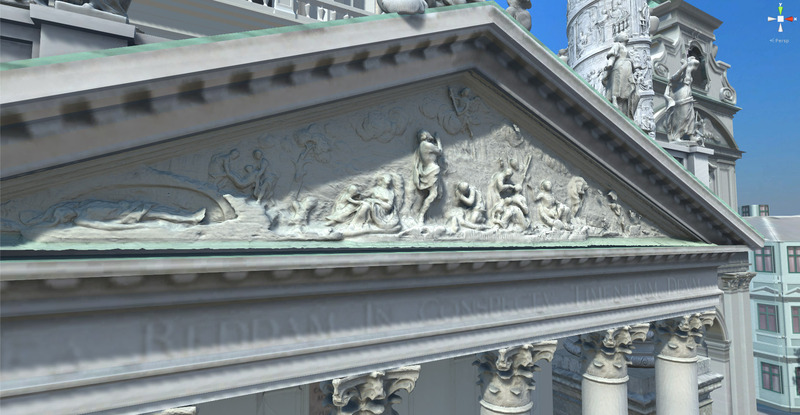 A test setup for a Immersive Reality Application was installed in November in order to test out public users and get theyr impressions and reviews on this VR tour. A questionnaire was developed by Students of the University of Economics Vienna, who also realised the visitors inquiry. This will allow us to improve the content, storytelling and hardware of this installation and finalize this first part of the project. 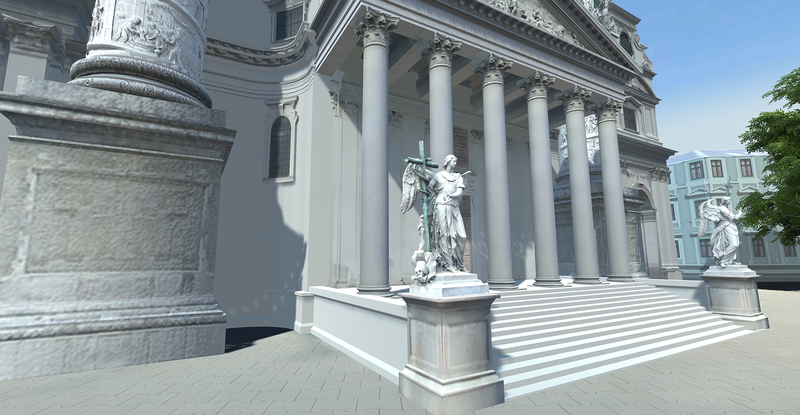 As planned we are looking foreward to generate a complete 3d documentation of the church from the outside and the inside in the coming year and make this content available through the state of the art VR Hardware available by then. A sneak preview of the VR Tour can be viewed here as a video, but to test it in VR you will have to come to Viennas St.Charles Church (which is a good thing to do anyway).